Duncan is hitting .191 in Syracuse this year, so don’t expect to see him in Washington any time soon. I had never heard of this guy when I pulled this card, and I still haven’t seen him in a game. To me, Janish looks and smells like a AAAA player, and the numbers bear it out, though he has managed a 109 OPS+ in 37 games this year (small sample size caveats aside). I also did not realize he pitched in two games last year, but was less than impressive. Russ was one of the last two cards I needed to complete this set. I had high hopes for this guy once upon a time. He looked like another in the tradition of good-hitting Dodgers catchers in the mold of Mike Piazza, but lately he’s looked more like a Paul LoDuca. I also have something of a grudge against him because I picked him up last year for my fantasy team as what I thought would be a steal and he completely tanked and has kept it up this year. 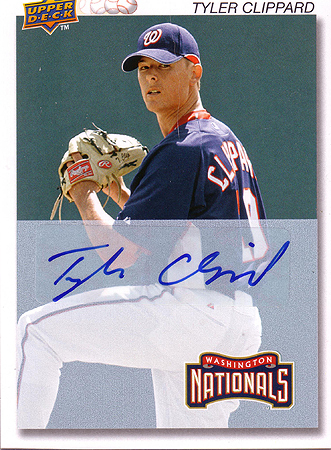 Finally, we have Clay Timpner, another player who was a mystery to me. 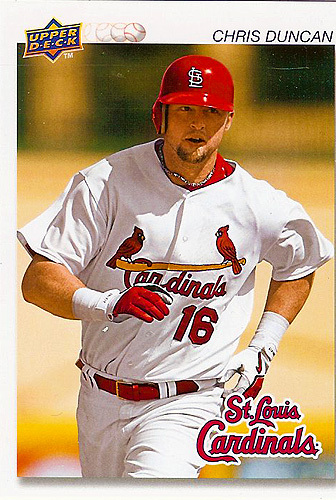 So far he has appeared in only two ML games with two at-bats, striking out both times, and hasn’t returned since 2008. No wonder I’d never heard of the guy. He’s playing at AA Richmond this year, with a .707 OPS. Meh. So far, while I like the design of the subset, the player choices leave me more than a bit underwhelmed. There are some good players to come, sure, but nothing that’ll wow you. 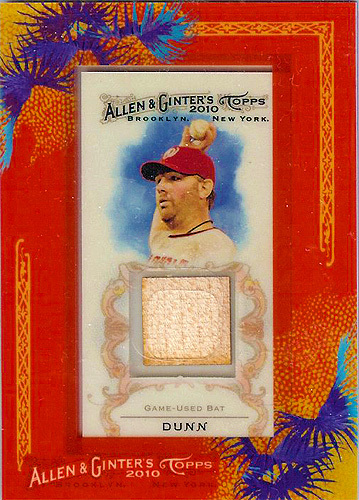 Thankfully, we’re almost done and can get to something better – 2002 UD Authentics. Welcome to the third installment of Finds and Sales. Unfortunately, I was again not able to go out to the thrift stores this past week, so we’re going to continue to feature some of the past finds. I expect to hit the stores again this Sunday, so we should have some new material in the coming week. That said, let’s delve into my finds. Chris Ray played for Aberdeen in 2003, but this was part of a three-statue set released in 2007 to commemorate that 2003 team. 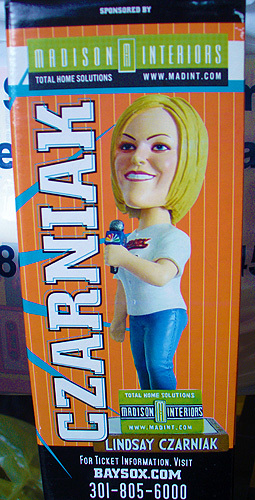 The other players featured were Adam Loewen and Nick Markakis; I have already found the Loewen and it’s in my collection, so I’ll be adding the Ray to my collection as well and hoping to track down the Markakis. 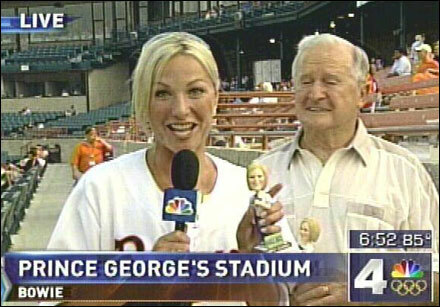 Funny thing, though, Ray was only in Aberdeen for nine games in 2003, so I’m not sure why they celebrate him as an Ironbird, other than perhaps that he made the majors. 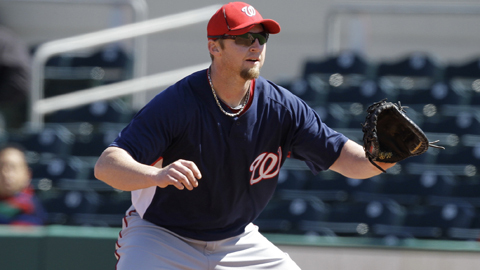 But there were other plays on that team, like Erik Bedard, Jerry Hairston, and Eli Whiteside. Why these three I don’t know. 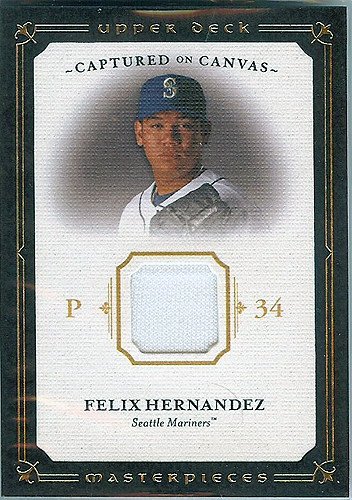 I managed to score this sweet card of King Felix on eBay for something like 50 cents and sold it for a couple of dollars, but I would happily have held on to it. I like Masterpiece cards in general, so it was well worth it. 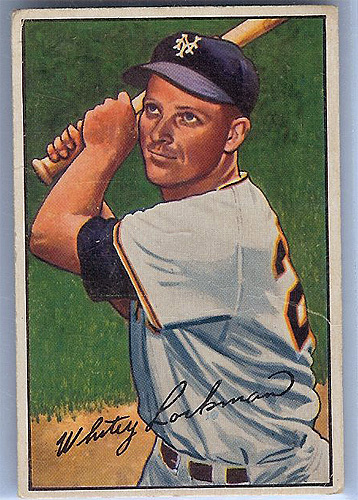 This was the first original Bowman card I’d ever owned, another discount purchase on eBay that I flipped for a profit. 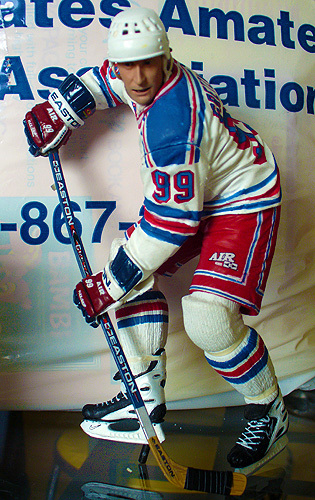 And finally, we have a Wayne Gretzky New York Rangers McFarlane figure. 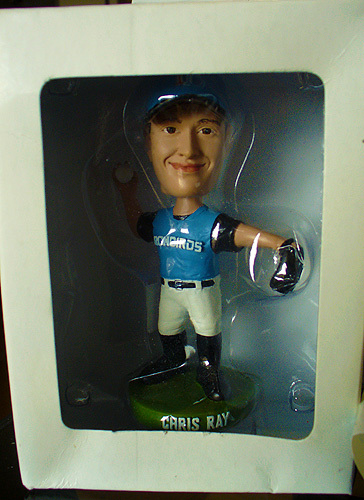 It came like this, without the base, but I’m curious to see if anyone would want it, considering the price was right. That’s all for this week. Hopefully next week we’ll have some more exciting finds to document. Heck, why not jump on the HOF bandwagon? 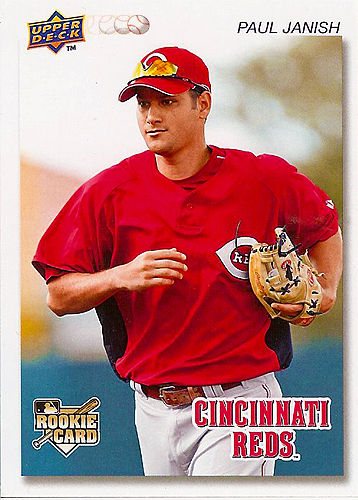 Ah, 2005, a time when game-used cards actually meant something to the hobby. I believe I got this as part of a COMC binge back in September, meant to be posted last year, but got lost in the shuffle when the site went dark. 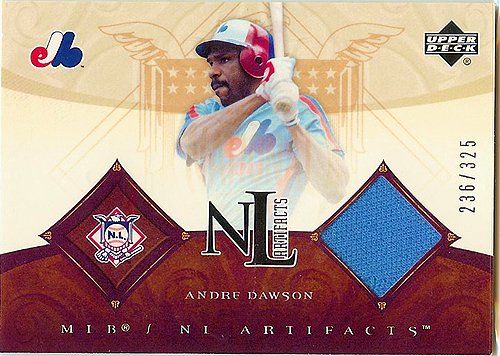 It’s probably one of my favorite Dawson cards that I own. How can you not love a swatch from those blue jerseys? I think it’s particularly great that they went to the trouble of making the picture match the jersey color. I had some issues with Upper Deck, but they sure could do some good work. I sorely miss them this year. 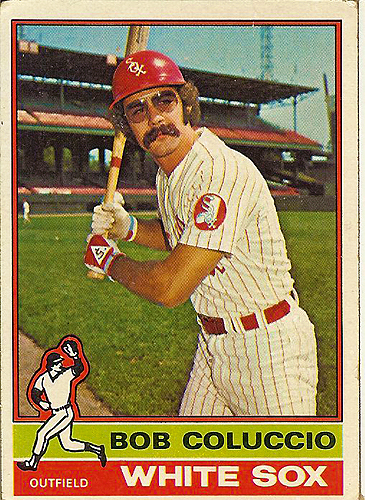 Anyway, this is just a simple little salute to the Hawk for getting into the HOF. Let’s get Tim Raines in there next! 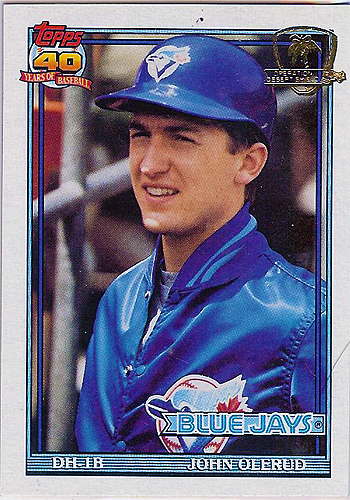 Today, we continue to delve into the John Olerud collection with the penultimate 1991 entry. FOIL! I’m not sure about the legitimacy of this card. I had never seen or heard of it before, then it was suddenly all over eBay. So of course I ordered it. 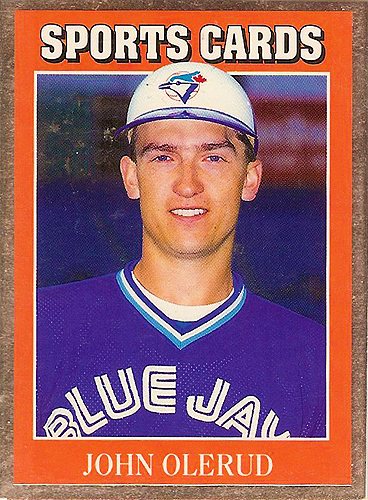 Also, is it just me or is Olerud’s head concave on the left-hand side, near the temple? My first thought was it was from his aneurysm surgery, but that would have been on the back, given that it was subarachnoid, right? 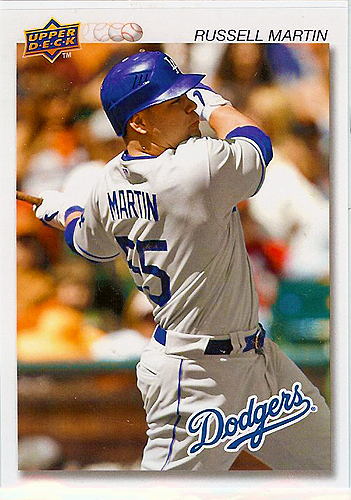 But…I went and reviewed his other early cards, and the dent is in those, too! How have I collected this guy for 20 years and never noticed this? MIND = BLOWN. 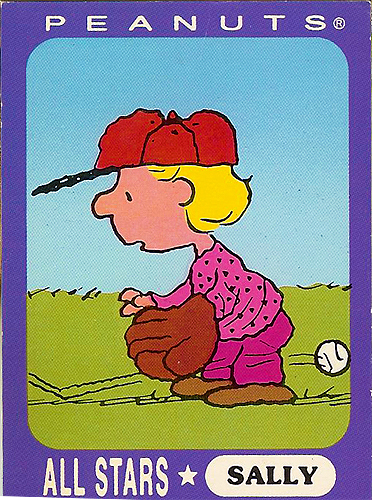 And yes, that was also a way of avoiding saying that this is a dull card. Sue me. Man, I love this card. I have a special place in my heart for 1991 Stadium Club. It was expensive at the time, yes, but it was a noble experiment and just hits such a warm spot in my photo-loving heart. I really should try to complete the set one day. Full-bleed photos, non-intrusive design elements, mmm mmm. They missed the mark with the following sets somehow, but this will always be a classic to me. And then there’s this abomination. I mean, black-and-white studio photos could have been an awesome set. Imagine this kind of photography on a Stadium Club design and you see what I’m getting at. Instead they frame these photos in the worst puce disaster possible, and your eyes just kind of slide right off. Not to mention the information on the back is kind of interesting, but…eh…not what I want. And good lord, has he got chicken neck going on here or what? Putting these three together. Okay, the 1991 is a regular scan, but I also have the Tiffany. So the other day I posted a shot of the box that my friend Robbi sent to me. 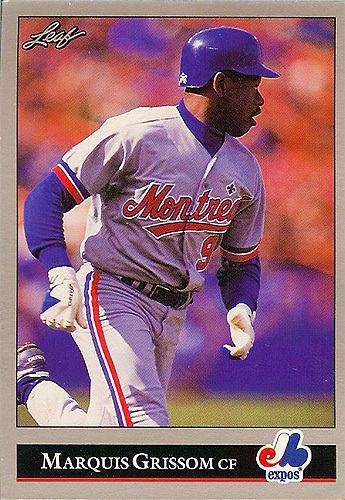 I’ve finally had some time to sit down and sift through the box, sorting out the Expos and Olerud cards that I want, along with some trade bait and the…other…stuff that I want to show here. This box originally belonged to a dear friend of mine who was like a brother to me. He passed away at a tragically young age in 2007, and his widow has had this box kicking around ever since then. She thought it would be more fitting for me to have it, so she sent it my way. And I know just what to do with it. 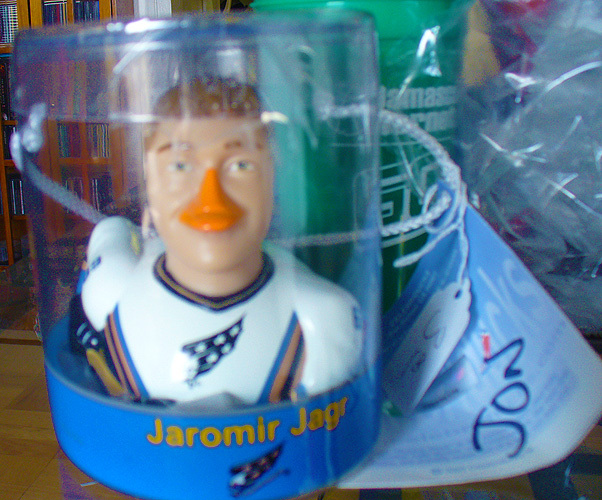 As I expected, the box was full of junk wax – beautiful, glorious junk wax. 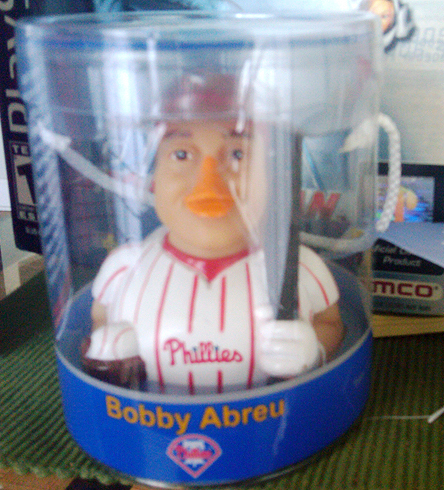 Monetarily, sure, it’s worthless, but the funny thing is my collection is oddly devoid of junk wax. 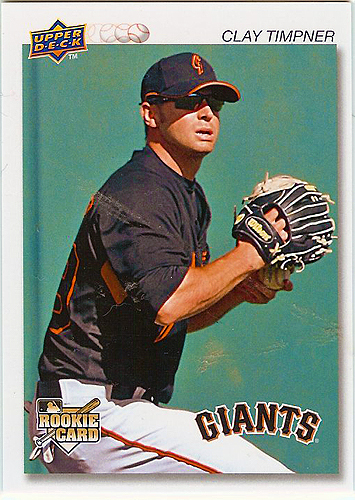 The bulk of my collection is from the mid-00s, and I always had trouble with paying money for junk wax cards, so I kind of rely on trades and “donations” to fill in these gaps in my collection, which means there were a lot of cards I didn’t have, like the Grissom above and the Colbrunn, below. 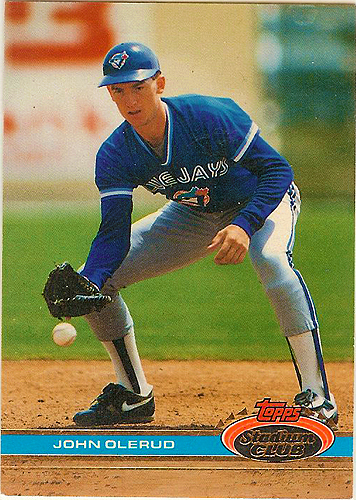 There were also a few John Olerud cards, but nothing that I didn’t have already. I was born in 1976, so I decided to start collecting the 76 set a few years back. I’m still WAY short of the set, but the box contained two 76 cards I didn’t have, including this beauty. Just feast your eyes upon the maximum 70s contained herein. The pornstache. The glasses that swallow his entire face. I just…I just shed a tear. I believe these were from Hostess. There were also TONS of 1990 NFL Pro Set cards. 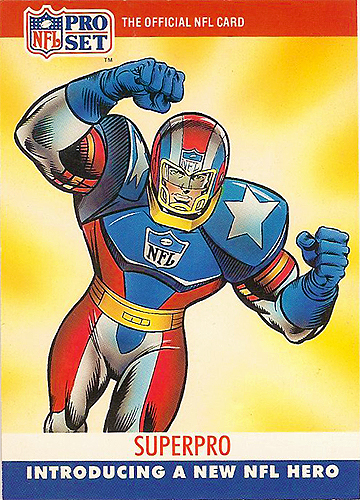 Man, I had a ton of these back in the day, but the whole trend of non-numbered, supposedly rare cards in the Pro Set…sets…started with the Santa Claus phenomenon and reached its logical conclusion in a super hero specifically created by the NFL and Marvel…SUPERPRO! Boy did this card bring back memories. He also had some wrestling cards from the mid-90s that I didn’t even realize existed, but man, was it a trip. 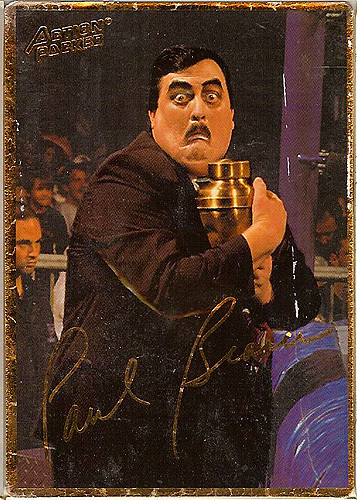 Presented last, but certainly not least, in this edition, I give you Paul Bearer. What a face. 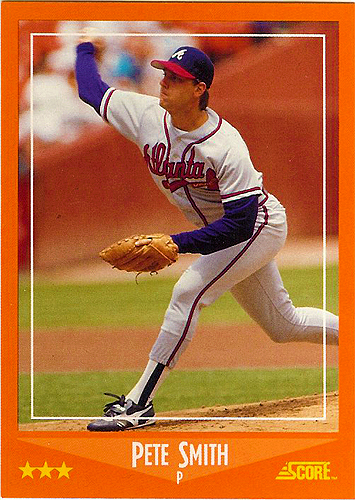 Often lost in the praise of Tom Glavine is the fact that he was one of a trio of pitching prospects that the Braves thought would lead their staff back in the 80s, kind of a precursor to the ballyhooed Four Aces and Generation K and much like those groups of pitchers, this group also met with incredibly mixed success. I learned about this group via an uncle of mine who was an avid Sporting News subscriber. He also informed me of this kid Kent Mercker who would one day make something of himself. 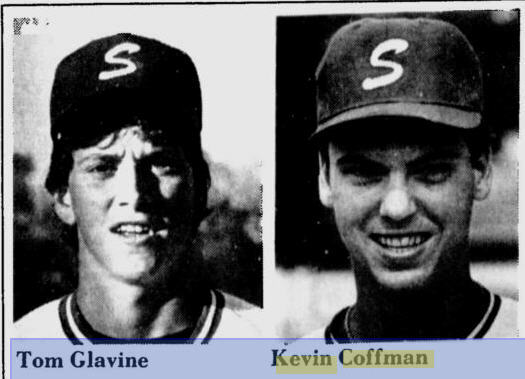 So, today we’re looking at the other two members of the group: Kevin Coffman and Pete Smith. Pete arrived in the majors on September 8, 1987, with an auspicious debut against the San Diego Padres. The LA Times had the story: “Smith retired the first 11 Padres he faced until John Kruk’s single in the fourth. Brave shortstop Jeff Blauser flagged it with a dive but could not complete the play. 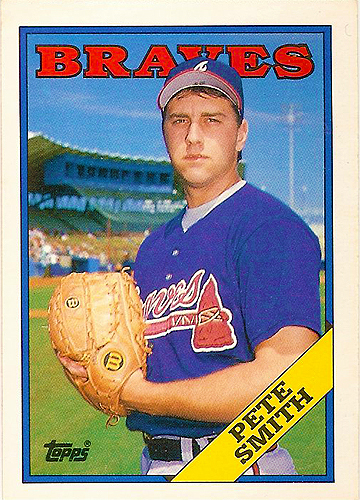 Smith got the next four batters before running into trouble in the sixth.” He went on to get the win in that game, and had a September that was about what you’d expect from a 21-year old pitching for the 1987 Atlanta Braves, ending with a 91 ERA+. Hahaha, look at that thing. 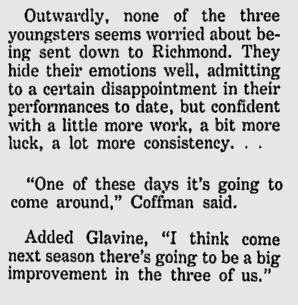 Coffman also debuted in September 1987, debuting three days before Smith, on September 5th. His first outing was nowhere near as good; he surrendered four runs on seven hits in three and two-thirds innings. He also walked three. Not a good omen, but he ended up with a 2-3 record, a 95 ERA+, and a 5.0 BB/9 ratio. It looked like he could still be something. To be fair to Smith, he was a whole lot better than he appeared pitching for a pretty lousy squad. Yes, he went 7-15 with 8.4 h/9 and 4/0 bb/9, but he managed a 5.7 k/9 and a 100 ERA+. For a 22-year old in the big leagues, I’d be willing to cut the kid a break. That’s not too damned bad. 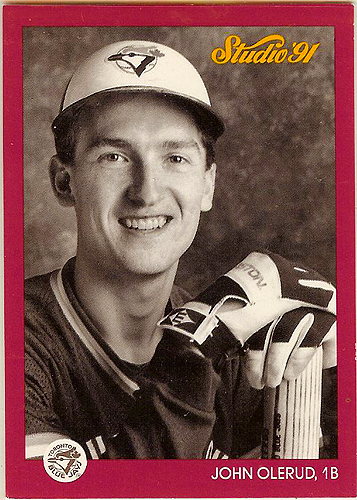 I can see why he made all the 88 traded sets; it looked like he had a future ahead of him. Well, he kind of did, but not what people thought. I found this snippet from the Atlanta Constitution article particularly ironic. Well, Tom, maybe you should’ve spoken for yourself. 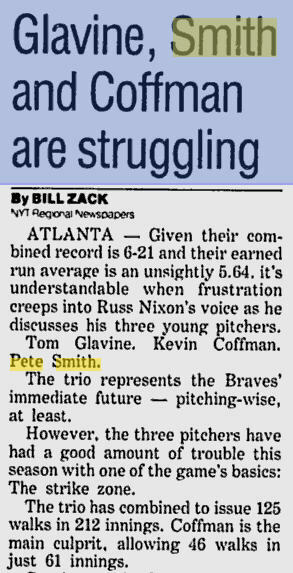 While Glavine would indeed rebound in 1989, going 14-8 with a 99 ERA+ at age 23 and showing flashes of the brilliant pitcher he would eventually become, Smith nosedived. He went 5-14, again, not a big deal for someone pitching for those awful Braves teams, but his h/9 inched up to 9.1, his WHIP shot up to 1.415, and his ERA+ tumbled to 77. He looked lost, and he would never really recover from there. Coffman, in the meantime, went from bad to worse. 1988 had not been kind to him. 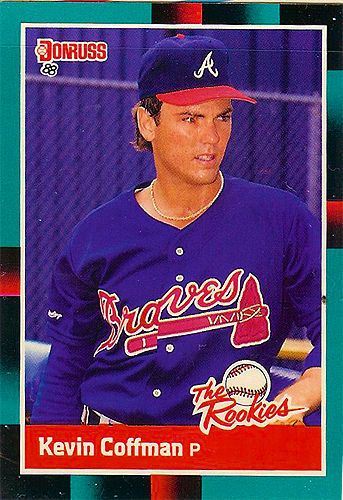 He only stayed in Atlanta for 18 games, starting 11, and went 2-6 with an abysmal 64 ERA+, 8.3 h/9, and a 7.3 bb/9. He threw 11 wild pitches in 18 games and hit 4 batters. 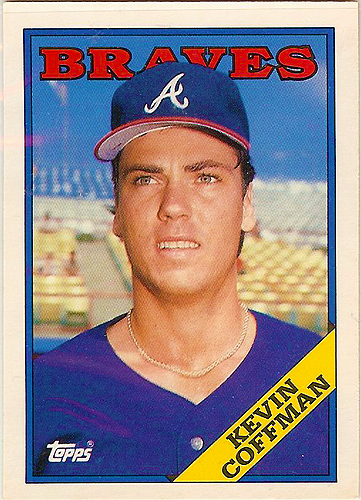 Obviously having seen enough, Atlanta packaged him with Kevin Blankenship for Jody Davis in September 1988. 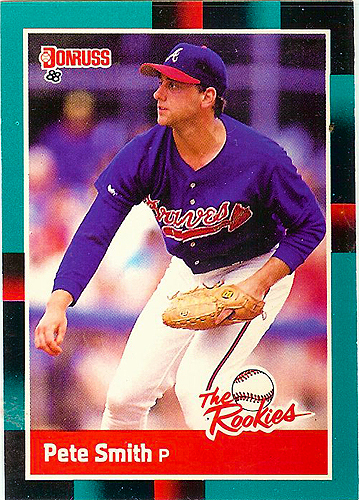 He proceeded to stink up the joint in Chicago’s minor leagues, registering a 10.3 BB/9 in 1989. 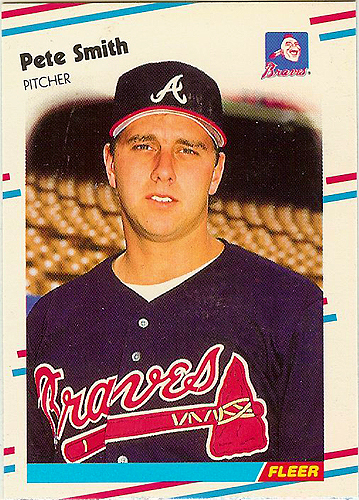 He didn’t return to the majors until 1990, when he posted an 11.29 ERA in 8 games for the Cubs. Apparently he had some of the same psychological problems John Smoltz did, taking a psychologist to the game when he pitched, but it didn’t work out so well for him. 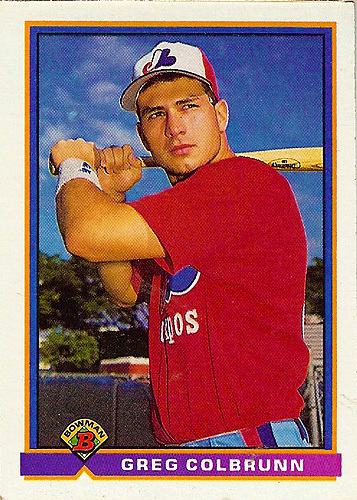 He was gone from the majors for good, hanging on in the minors until 1995. Smith’s career lasted a bit longer. 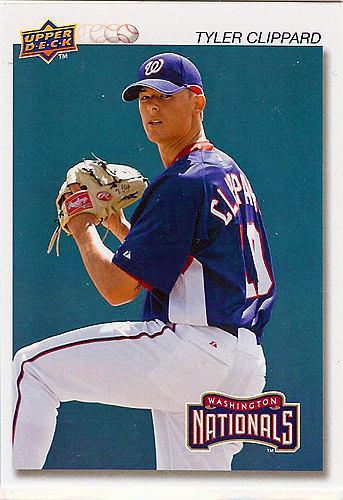 While he never lived up to the hype, he did hang on in the majors until 1998, making a respectable 11-year career. He finished with a 41-71 career record (he did pitch for some really bad teams) and an 86 ERA+. He had a career 4.9 WAR, pretty abysmal for an 11-year career. Most telling is the fact that he gave up 9.2 hits per 9 innings over his career. You just can’t sustain success like that. 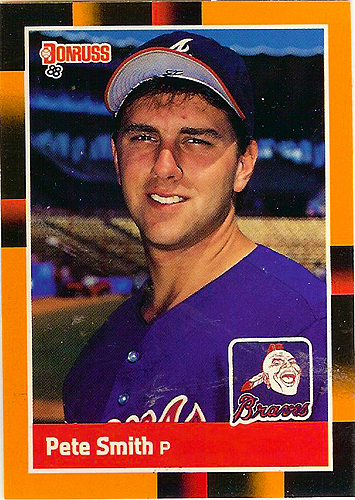 But it’s an interesting journey, and there were a lot more pitchers from the Atlanta crop that we haven’t covered, like Tommy Greene, Derek Lilliquist, Steve Avery, and, of course, John Smoltz. I suspect some of them will come up in future “projects”. 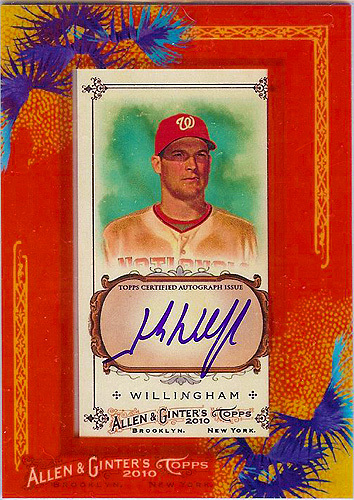 When I saw the contents of Thorzul’s A&G box break a little while back, I knew I had to have the Dunn and Willingham cards, so I hit him up and we worked something out. They arrived Monday in the midst of Maryland’s power catastrofuck, so I haven’t had a chance to post them until now. SUH-WEET. Thanks, Thorzul!